Ishigaki beef, aguu pork and more! While traveling around the island, you'll surely come across dishes using high quality meats produced in Okinawa. Ishigaki beef -- a finely marbled and tender type of Okinawan beef -- and the Okinawan premium pork brand, aguu, are among the most popular gourmet meats Okinawa has to offer. 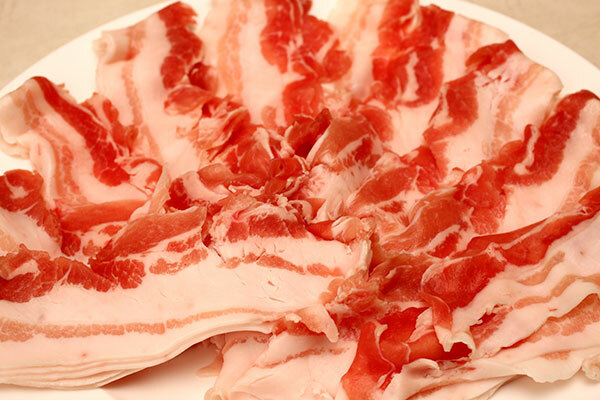 Aguu is both delicious and rich in nutritents and is lower in cholesterol while containing 3.5 times more glutamic acid (a type of amino acid that gives it a rich flavor) and twice as much essential amino acid than regular pork. Although aguu pork is slightly more expensive than other types of pork, nonetheless it's widely enjoyed as teppanyaki, steak and shabu-shabu by both local Okinawans and tourists: Its taste is definitely worth the price. Add premium Okinawan meats to your must-eat list of food in Okinawa now! Aguu is produced from a breed that bears traces of the native breed that has inhabited the island since the days of the Ryukyu Kingdom. As the original aguu breed was dwindling in number, a prototype of today’s black-haired aguu was produced by crossbreeding the indigenous aguu with Western breeds for easier reproduction, also providing a succulent meat. You can enjoy aguu pork dishes at Japanese restaurants in resorts and hotels in Okinawa. In addition, there are numerous aguu specialty restaurants throughout the island. 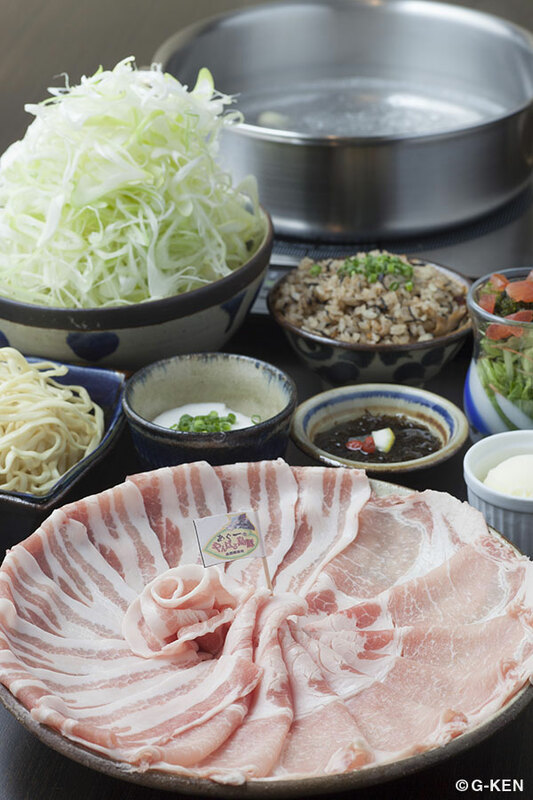 Shabu-shabu and pork steak are the most popular ways to enjoy aguu pork. 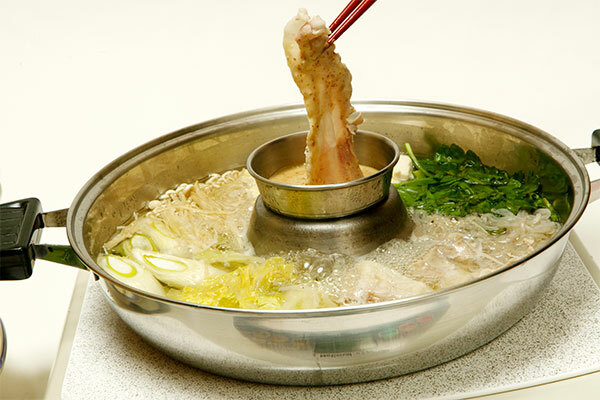 Prepared by submerging thin slices of meat in a pot of boiling broth, shabu-shabu is the best way to savor the rich flavor without unwanted fat or odor. Blessed with vast, perpetually green fields, abundant sunlight and a warm climate throughout the year, Ishigaki Island is a perfect place for breeding wagyu -- Japanese cattle that are famed for their excellent meat. The secret for raising healthy wagyu lies in their diet. The cattle graze on grass that contains a large amount of ocean minerals and are given feed rich in natural calcium from coral. Steak and teppanyaki are the best ways to enjoy this supreme beef, as the simple methods of preparation enhance its juiciness and natural sweetness. 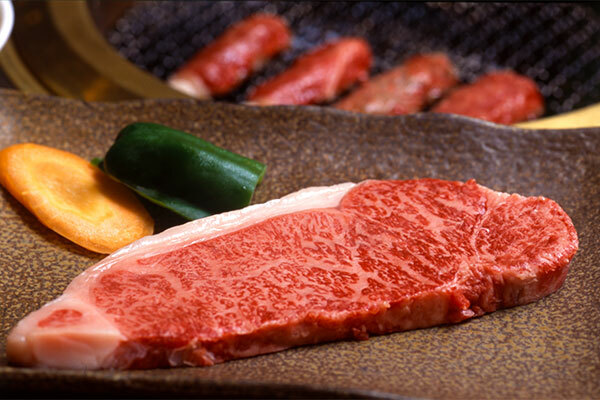 In addition to Ishigaki beef, Okinawa offers the Ie, Motobu and Miyako beef brands.